Covidien is a spinoff of Tyco Healthcare that dates back to 2007. Covidien, like many medical devices manufacturers, has produced and sold transvaginal mesh products to women as a method of treating stress urinary incontinence (SUI) and pelvic organ prolapse (POP). Covidien products including the IVS Tunneller, the Duo, Surgipro Mesh, Parietene Mesh and Pelvicol mesh implants. Unfortunately, the Covidien vaginal mesh products are no safer than those made by other major manufacturers including C.R. Bard, Johnson & Johnson, Boston Scientific and American Medical Systems. 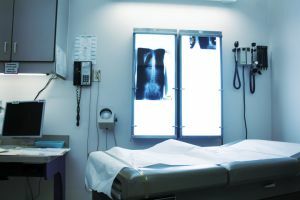 As such, Covidien is facing lawsuits from women experiencing complications, and these claims have become part of centralized multidistrict litigation (MDL). Victims who had a Covidien product implanted should speak with a Boston transvaginal mesh lawyer about how they can pursue legal action to obtain compensation with losses. Vaginal mesh products have been produced and sold by Tyco Healthcare, now Covidien, for more than a decade. In fact, one lawsuit against the company was filed by a Texas woman who first had a Pelvicol mesh product implanted back in 2003. After the mesh was implanted, she began to experience significant pain and serious complications. Revision surgeries were required to remove the mesh from the body, and corrective care was necessary to treat complications. The plaintiff filed a lawsuit seeking punitive, compensatory and economic damages against Covidien because of the problems she experienced. She originally filed her case against Covidien LLC, Covidien Inc., and Covidien PLC in the Superior Court of Massachusetts. However, there was diversity of jurisdiction, with the plaintiff and defendant from multiple locations, and she was seeking more than $75,000 in damages. This meant her case could become a federal case. Her claim was removed from the initial court and became part of a multidistrict litigation. Multidistrict litigations move many similar cases before one judge. Each of the plaintiffs who have their cases moved are still able to retain control over their claims, which makes MDLs distinct from class actions. Class actions are one big lawsuit with representative plaintiffs who actually make case decisions for members of the class. Multidistrict litigations simply let one judge decide on common legal issues while each plaintiff may bring a separate claim before a judge. The move of the Texas plaintiff’s case to become part of a multidistrict litigation may, therefore, allow her to get swifter compensation because her claims against Covidien could perhaps be handled in a more timely manner by a judge familiar with the basic facts of vaginal mesh cases. Other plaintiffs who also experience problems with Covidien vaginal mesh products may also have their cases consolidated into an MDL. There are currently thousands of claims pending against various mesh manufacturers in multidistrict litigations within West Virginia. Cases that have already been heard against some manufacturers have largely resulted in verdicts in favor of the plaintiff. This means women may be successful in receiving compensation if they take legal action against Covidien. Despite the problems, Pelvicol has not been recalled by Covidien and this and other vaginal mesh products continue to be used as a treatment method for POP and SUI.